Andre Green came to Fratton Park with a decent reputation. He was certainly a player a large number of Aston Villa fans – on social media at least – felt shouldn’t have been loaned out. However, he was and Pompey signed him. Unfortunately, an injury early in his spell on the south coast has restricted his impact. But the forward made his return in the midweek Checkatrade Trophy win over Tottenham’s U21 side. First goal for @officialpompey ???????? Happy to be back and get 60 mins. Fitness will come in time????????‍♂️???? Tuesday’s run will represent a good hour for Green, which, as he says will see his fitness, obviously form too, improve the more games he plays. Not only did Green feature in that Pompey win he, of course, scored the goal that levelled up the scores after Spurs took an earlier lead. Green’s now backed to kick on and nail down his first-team place at Fratton. Nice showing tonight Andre, well done. Good luck Andre. Hope you kick on, and we see you in the 1st team squad very shortly! Ultimately, Green’s future would appear to be at Villa Park. Well, I’d be surprised if the forward wasn’t given a chance at the Championship club following the conclusion of his temporary spell with us. Aston Villa fans are certainly expecting him back and feel new Villa boss Dean Smith will want this and will be scouting him closely. I’m sure Dean keeps close tabs on you, André. Luckily, Bruce is now all but a bad dream. Can’t wait to see you back at Villa, mate ???????????????? You’ve got this Andre ???????? Good to read your back scoring. 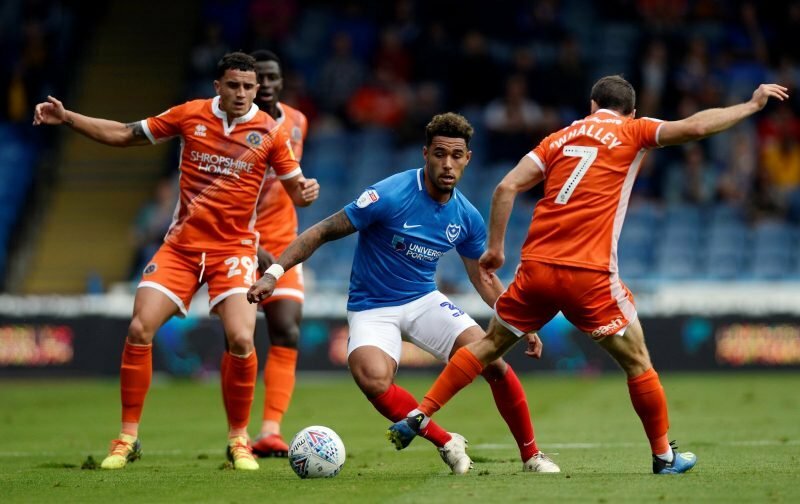 As for Green himself, he’s now hoping, due to the fact his knee is “fine” meaning “there’s nothing holding” him back, to kick on and put the early part of his stop-start Pompey career behind him and play a part in a successful season. I still feel, as long as he can remain fit, Green will do well.